Trade data of European countries is based on shipping details and contains statistical information only. Let’s discuss more facts about shipment data of European countries. Germany import export data covers statistical information only, which is used for primary research. 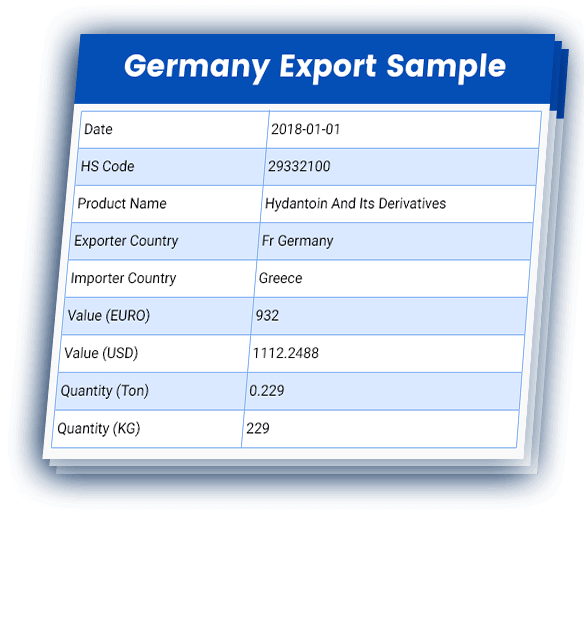 Look at Germany export sample to know data columns. Italy import export data is a collection of statistical information, which is used for primary research. 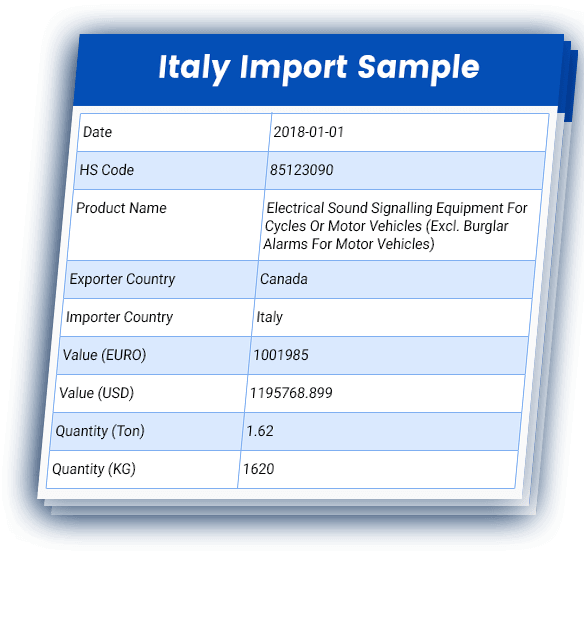 Here is Italy import sample to know data columns. Netherlands import export data is based on statistical information, which is useful for doing primary research of the market. 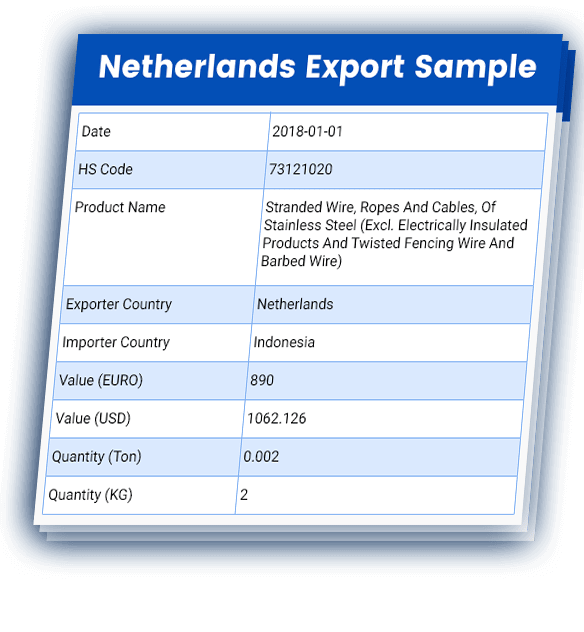 Here is Netherlands export sample to know data fields. According to European countries trade statistics, total imports valued at US$ 6495 billion and total exports valued at US$ 6733 billion in 2017. Let us take a look at top 5 trading countries in Europe. Trade statistics of Europe are beneficial to analyse market components including product, value, quantity, etc. Let’s have a look at important benefits of Europe import export data. For Product Evaluation Our Europe trade statistics cover value and quantity that are useful for analysing market structure of various commodities. For Business Analysts We provide Europe trade data with statistical information, which is useful for business analysts to study industries of European countries. For Business Growth Accurate information about European market is important for business growth. And this is what European countries import export data contains and benefits to the global business. For Market Trends Our European countries trade data helps in analysing current market trends of countries. Want to Know More About European Countries Trade Data? Simply connect with our sales representatives and let us know your data requirements.